Your cruise EUX1802 is being loaded, one moment, please. The classic: a safari in the wild on the trail of the “big five”. Urban contrast: dynamic cities such as Cape Town and Durban. A cruise between African legends and lifestyle. Combine this cruise with EUX1803 and save € 1,500 per person (applies to categories 1 – 14). Arrive a little early and explore Cape Town with our pre-cruise programmes* – perhaps in combination with a safari. A leap back in time: experience the colourful city with its historic, lovingly preserved art nouveau buildings at your own pace. Situated by a stunning lagoon, this natural harbour is the ideal starting point for fascinating desert excursions: to the Namib* in all-terrain vehicles, the desert city of Swakopmund* or an aerial tour of the Sossusvlei* (subject to weather conditions). Recommended by our travel concierge: a jeep tour* through the Namib off the usual tourist path with a local guide. Reflect on your experiences during the following two days at sea. Sandy beaches stretching almost to the centre of the city invite you to soak up the sun. The thrilling alternatives: a two-day safari overland excursion (re-embarkation in Durban) to Phinda Private Game Reserve* with seven different ecosystems or a detour to Addo Elephant National Park*, which is focused on the large mammals. The traditions of Africa, India and Europe blend to form a very special atmosphere. The city entices with the palm-lined seafront and – outside the city – a canopy adventure* and unforgettable encounters with animals and humans: on a game drive through Tala Game Reserve* or in a Zulu village* in the Valley of 1,000 Hills. Mossel Bay The famous Garden Route, which you will follow on a journey of discovery*, stretches out against the imposing backdrop of the Outeniqua Mountains. Thrilling perspectives are also promised on a visit to an ostrich farm* and the Cango Caves*, one of the world’s most beautiful cave systems. Exotic plants and scones in the tea house: the Durban Botanic Gardens are the perfect retreat in the middle of the city. The famous Garden Route, which you will follow on a journey of discovery*, stretches out against the imposing backdrop of the Outeniqua Mountains. Thrilling perspectives are also promised on a visit to an ostrich farm* and the Cango Caves*, one of the world’s most beautiful cave systems. Enjoy stunning views from your veranda when the EUROPA 2 arrives in Cape Town’s harbour. Immerse yourself in the city’s hustle and bustle – for example, along the famous waterfront. Further highlights include a helicopter flight over two oceans* (subject to weather conditions) and the Kirstenbosch National Botanical Garden* and Constantia Vineyard*. After a final night on board, you will bid farewell to South Africa – or begin one of our post-cruise programmes*. Discover your destinations in a personal setting for two - ideal for those who do not want to join a group. The excursions included in the program are accompanied by a local guide who will meet your individual wishes. In addition, there is sufficient time and space for your own activities. Transfers are organized with cars and private drivers. Prices for more or less than two persons are available on request. * The pre- and post-cruise programmes and shore activities are not included in the cruise price and are in the planning stage. Subject to changes. Lars Redlich was born in Berlin. He studied music, sports and acting at the University of Arts in Berlin and graduated with honor. He played the main part in a lot of big musical-productions like „Mamma Mia!“, „Hairspray“ and „Grease“, „Rocky Horror Show“, was the top act in the revue „Winterträume“ in the famous Friedrichstadtpalast Berlin and was seen on TV in several series. On the classical stage he surprises with a clear counter-tenor voice. The sympathic entertainer and multi-instrumentalist combines all this versatility in his solo show "Lars but not least!” that was winning various prestigious Art Awards! This quote from Markus Schneider shows just how big a role wine plays in his life. And it’s no wonder – after all, he grew up in Ellerstadt, a small Palatinate community with vineyard after vineyard and winery after winery. And yet Markus Schneider has created something very special here: the vineyard he set up in 1994 with just one hectare of land has become an international brand. Today, he cultivates around 92 hectares of vines, and his wines appear on the lists of top international restaurants and hotels and the world’s best airlines and cruise ship fleets. The breadth of his wine-growing region offers Markus Schneider and his team some key advantages: when summer sends temperatures in the valley soaring to up to 38 °C and drives the grapes to physiological maturity, the early shade, cool ground and winds in the Haardtrand area keep the process moving nice and slowly. Schneider places particular value on a biological approach – no herbicides, insecticides or artificial fertilisers, but careful under-vine cultivation, purely organic fertilisers and sowing various grasses and herbs to strengthen the vineyard. He believes that to start life in a small wine-growing village and make it in the big wide world, you need to be hard-working and ambitious, have a strong vision and a good dose of Palatinate emotionality. The story of Weingut Markus Schneider shows that we live in the “land of ideas”. Courage, hard work and determination are indeed rewarded. Wine has always been the main passion of Danie Steytler. He grew up as the 4th generation on Kaapzicht wine estate in Stellenbosch, South Africa, which has given him a great head start in his career as winemaker. From 2000 to 2004 he studied BSc Agriculture Viticulture & Oenology at the University of Stellenbosch. After completing practical courses at Weingut Biegler in Germany (2003), Waterford Wine Estate in Stellenbosch, South Africa (2004) and Rooipad Boerdery Table Grapes in Augrabies, South Africa (2004/2005) he returned to Waterford Wine Estate in 2005 to work as temporary assistant winemaker. He then went on to work as a cellar hand with wineries all over the world, including Châteaux Grand Manye in Saint Emilion, BDX, France, Jordan Wine Estate in Stellenbosch, South Africa, Allan Scott in Blenheim, Marlborough, New Zealand and Stags’ Leap in Napa, California. In January 2007 he started his first job as winemaker for Swedish wine importing company Oenoforos in Stockholm. He was in charge of buying and blending 10 million litres of wine per year. Also he was part of the team who set up the Nordic Sea Winery, the first in Scandinavia. Just before harvest in 2009 he joined the family business and has been making wine there ever since. Apart from wine Danie enjoys cooking and eating, music, travelling as well as sports and the outdoors. The very survival and evolution of classical music within a fast-paced, cosmopolitan environment such as New York requires a dynamic balance of novelty, tradition, and hard work. It was with this vision in mind that the Salomé Ensemble, New York City’s new conductor-less string ensemble, was founded in September 2009 by the Carpenter siblings (violinists Sean and Lauren and violist David). As a 501c3 organization and one of the preeminent orchestras in the U.S., Salomé collaborates with other non-profit organizations in raising awareness for their philanthropy and broadening the audience of classical music. To date, the orchestra has performed at venues around Manhattan including Steinway Hall, Carnegie Hall, Barge Music, Christie’s, MILK Studios, and the MET Museum; on NPR's Performance Today; and on National Television. Salomé has collaborated with leading soloists, including guitarist Sharon Isbin and violist David Aaron Carpenter, with 2012-2013 performances slated with Alan Gilbert, Christoph Eschenbach, Joshua Bell, Philippe Quint, Daniel Hope, Karen Gomyo, Helene Grimaud, and Rufus Wainwright. Also, Salomé has partnered with notable non-profit organizations from around the world including The Trevor Project, FEED, Camfed, and The Somaly Mam Foundation. Salomé is based in Manhattan and consists of top-ranking graduates from The Curtis Institute of Music, The Julliard School, Manhattan School of Music, Princeton University, and Yale University. Situated on the edge of the Namib Desert, this 18-hole course is a bizarre blend of desert landscape and golf course. The springbok and oryx are just as thrilled, and often head to the fairways for lunch. Nevertheless, the course is in very good condition, although the greens are not easy to read. Since 1929, the dunes of Algoa Bay have been home to a challenging links course layout. 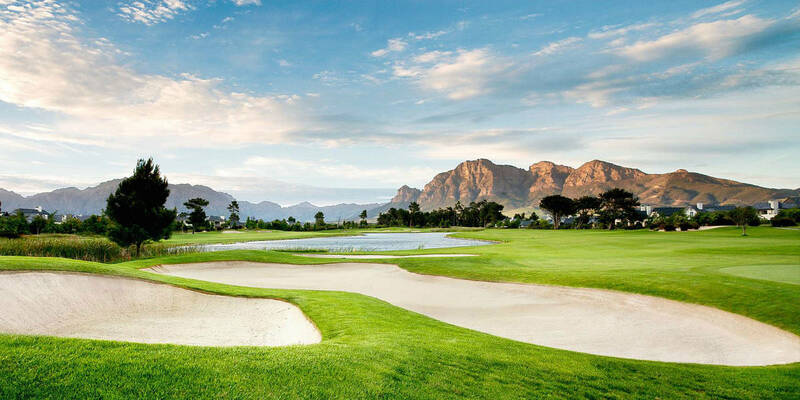 This 18-hole course played a significant role in establishing South Africa’s golfing tradition and has hosted many international tournaments. Built in 1922, this course is embedded in the dunes directly by the beach of the Indian Ocean. The long, undulating fairways stretch out in a dreamlike manner through the once sandy landscape, which constantly offers view of the Durban skyline. This course has hosted the South African Open on several occasions. Situated directly by the rugged cliffs of Mossel Bay, this championship course is a unique natural experience. Playing on this course, which opened in 2006, is like playing in a world of three colours: green terrain beneath your feet, light blue sky above and dark blue sea in the background. The wide fairways will suit golfers of all levels. And it is worth packing your camera along with your golf balls!